This topic contains 22 replies, has 5 voices, and was last updated by pipsxlch 2 years, 3 months ago. Looks really clean. I think it should definitely glue ok. And it is gorgeous! I love the macaw. Thank you! 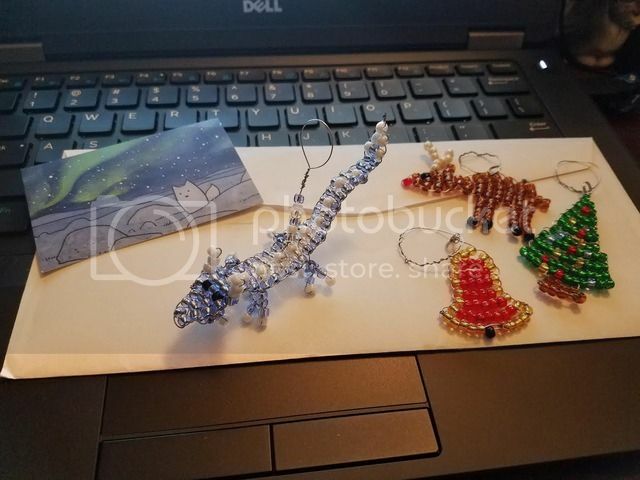 I received a neat little beaded dragon and a festive Christmas tree, reindeer, and bell from chibishiro12! Thank you! I’ve been burning the candle at both ends (work has been unexpectedly awful, no help from family members getting stuff done), juggling doctor appointments, and had to travel for work last week at the last minute, so my ornament was delayed in going out. 🙁 My recipient should have it by the weekend if the mail service isn’t too backed up. I apologize for the unplanned delay. Mine got here today and it’s so perfect! 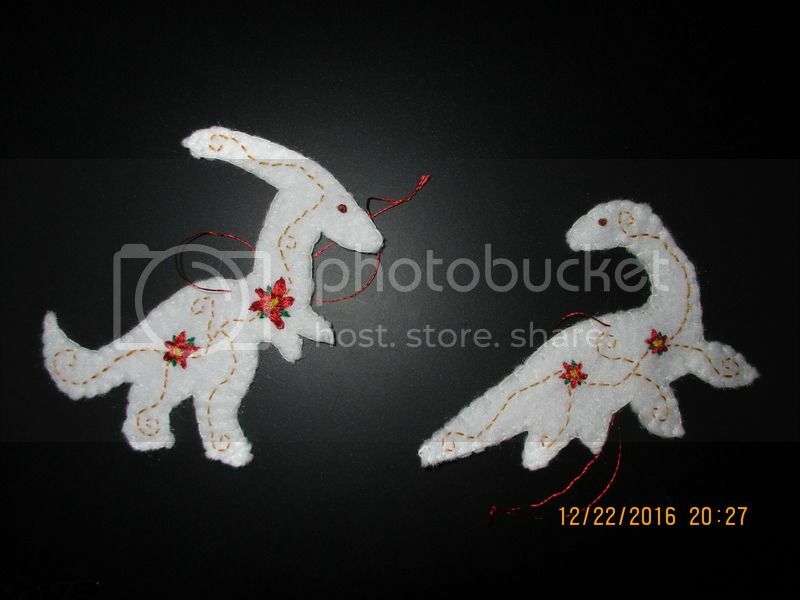 I love dinosaurs; my daughter’s favorite one is Parasaurolophus, and I especially love the aquatic ones like Pleisiosaur- so these couldn’t have been more perfect! Thanks so much Siberakh, I love them! I’m sorry they were such a bother getting out, but you made a poopy day so much brighter! Glad you like them! Looks like everything was received by everyone. Thank you all for participating. I hope everyone had fun! Have a good holiday weekend! posting for Celestial Rainstorm,her Owls.They are so sweet. I’m glad you liked them- and the tufty guy was fun to make! The big one doesn’t quite count, as he’s a repaired broken one I found at a store, but he was the right colors so I gave him a chance.